Are you turning into a shopaholic? Want an effective way to control your spending habits from the inside out? Shopping is almost too convenient these days. Thanks to the Internet, you don't even have to go out - just the click of a button buys anything you want. And when you do visit stores it's easy to indulge in luxuries you don't really need. 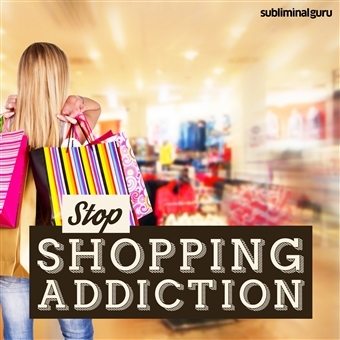 With the Stop Shopping Addiction subliminal session, you'll find the power to suppress your purchasing impulses! As you listen, thousands of potent positive affirmations will rewire your mind, helping you to resist the urge to spend and splurge. You'll start to manage your money more wisely, buying only what you need. You'll discover how to stick to a budget, taking firm control of your finances with a more rational and realistic approach to shopping. Be free from your shopping fixation! 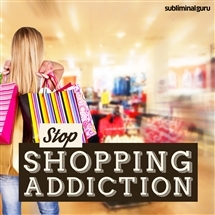 Download the Stop Shopping Addiction subliminal audio now to overcome your shopping obsession for good. I am in control of what I spend. I always stick to my budget. My shopping trips are planned and essential. I resist the urge to shop for the sake of it. I think logically and rationally about shopping. Shopping is a chore I do only when necessary. I have total control over my impulses. I avoid splurging when I shop. I am in constant control of my finances. I am free from my shopping addiction.